Everybody loves pastries! Some can have them any time of the day (yours truly included). Regent is famous for their freshly made pandan layer cake. 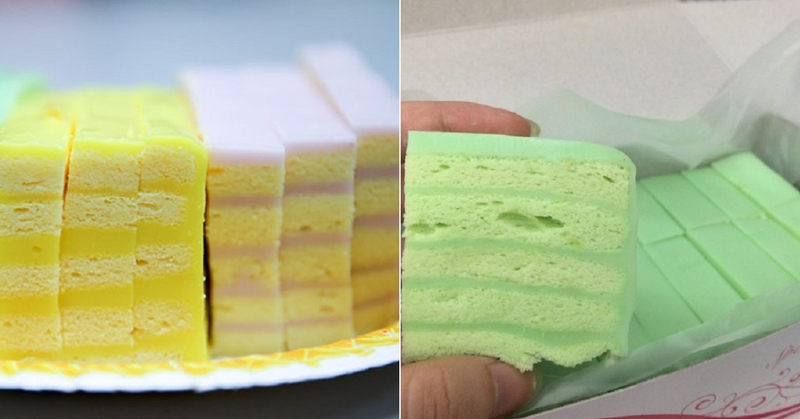 Other than pandan, they also have other flavors such as yam, durian, andcorn layer cake etc. You need to queue up to get their best seller, but it definitely worth your time. Just call them to pre-order the cake if you don’t want to go home empty handed! 2. Fruity Cake Sdn. Bhd. Fruity is located in Klang and its always crowded with a lot of loyal customers. The items on their menu is affordable, and their Apple Strudel and Cream Horn are to die for! Now you don’t have to travel all the way to Perth for a good apple Strudel! At Golden Cake Bake House, their signature item is non other than Layer Cake, especially their Pandan Layer Cake which is sold out on daily basis. If you are too lazy to head to the shop, they provide delivery service for RM20 but only for orders from within Klang Valley. Just call them when you feel like eating Pandan Layer! Bread Berry Bakery is the antidote to your sweet cravings. Over here, you can find a lot of desserts and cakes. You can also enjoy your high tea here with friends or even grab some home to enjoy them at the comfort of your own home. Cakes can be very expensive, that’s a known fact. But at Toli Cake & Café, you are able to purchase a whole cake for only RM20! Yes, you read that right! Thought the prices are cheap, Toli Cake & Café does not compromise the quality of their cakes. Head on over and try one yourself!